The world of Manufacturing in Delaware County is evolving quickly. As decades pass, technology continues to make advancements and highly skilled workers are becoming scarce. A bulk of the professionals in the manufacturing field in Delaware County are approaching the age of retirement. As a result of this aging workforce manufacturing occupations are being placed on the High Priority Occupation List. In our communication with local manufacturing companies, the Foundation of the Delaware County Chamber of Commerce (FDCCC), has discovered that over the next decade, nearly 3.5 million manufacturing jobs will likely be needed, and due to the skills gap, 2 million of those jobs are expected to go unfilled. 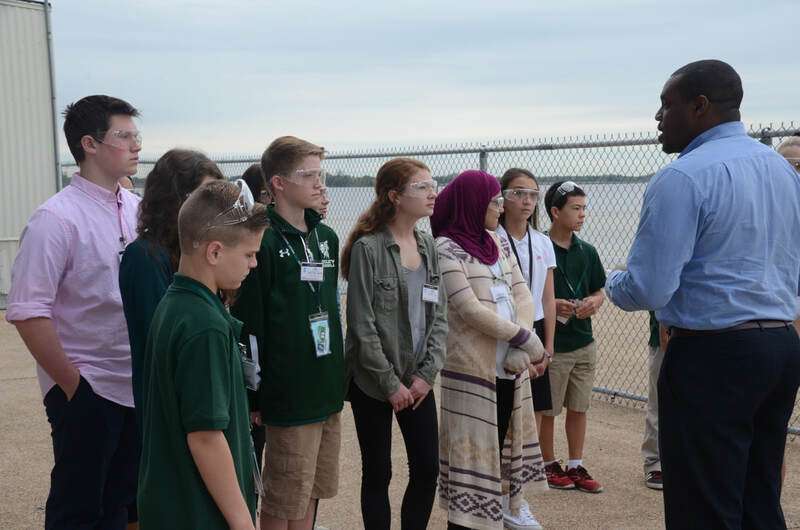 In effort to educate the next workforce generation, the FDCCC has launched Magnifying Manufacturing, a program focused on promoting career awareness in this profession. If you are interested in taking part in the collaboration between the FDCCC, Delaware County Manufacturer's and Delaware County School Districts, please contact Jaclyn Miley, Events and Communications Manager, at jaclynm@delcochamber.org. 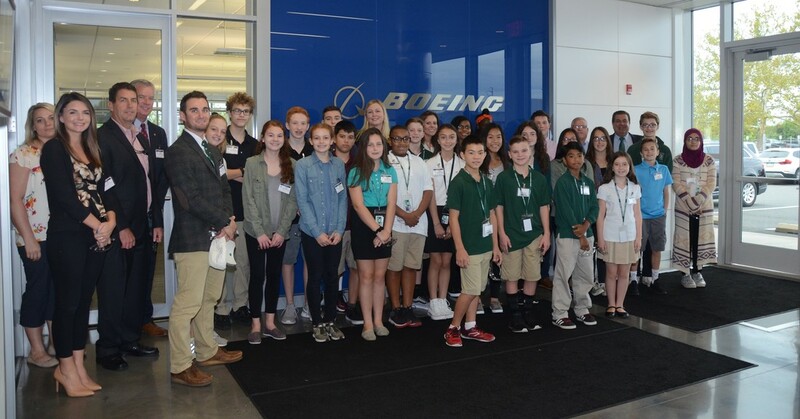 Ridley High School students visit The Boeing Company in October of 2018. The manufacturing industry supports nearly 17.2 million jobs in the United States​ and the field offers an array of benefits. ​​In the most recent data, manufacturers contributed $2.33 trillion to the U.S. economy in the first quarter of 2018. ​The vast majority of manufacturing firms in the United States are quite small. There are currently 12.75 million manufacturing workers in the United States, accounting for 8.6 percent of the workforce. In 2017, the average manufacturing worker in the United States earned $84,832 annually, including pay and benefits. Manufacturers have experienced tremendous growth over the past couple decades, making them more “lean” and helping them become more competitive globally. Exports support higher-paying jobs for an increasingly educated and diverse workforce. Over the past 25 years, U.S.-manufactured goods exports have quadrupled. Manufactured goods exports have grown substantially to our largest trading partners since 1990, including to Canada, Mexico and even China. Nearly half of all manufactured goods exports went to nations that the U.S. has free trade agreements (FTAs) with. World trade in manufactured goods has more than doubled between 2000 and 2014—from $4.8 trillion to $12.2 trillion. Foreign direct investment in manufacturing exceeded $1.6 trillion for the first time ever in 2017. U.S. affiliates of foreign multi-national enterprises employ more than 2 million manufacturing workers in the United States, or almost one-sixth of total employment in the sector. ​Manufacturers consume more than 30 percent of the nation’s energy consumption. The cost of federal regulations fall disproportionately on manufacturers, particularly those that are smaller.